Companies in a wide range of industries face growing market pressure to increase their competitive edge and prove the quality of their controls. A SOC report (formerly SAS 70) demonstrates to your clients a commitment to internal controls by providing third-party attestation to the reliability of the design, implementation, and operating effectiveness of your organization’s controls. An additional benefit of a SOC report is a reduced impact on your internal resources by minimizing the need for external audits. 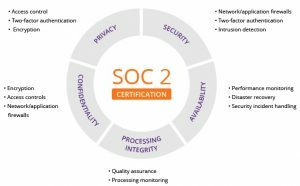 Join our 50-minute webinar to learn more about the increasingly popular SOC 2 certification. Ben specializes in Cybersecurity and Information Technology Audits and Assessments. Ben began his cybersecurity career in the US Marine Corps. After becoming a Certified Public Accountant, he continued his cybersecurity and IT Audit training by obtaining the ISACA certifications: Certified Information Systems Auditor (CISA) and Certified in Risk and Information Systems Control (CRISC). 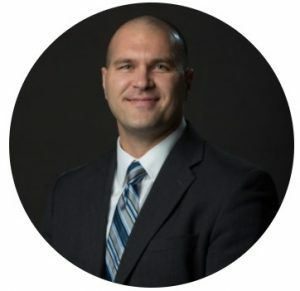 Ben has years of experience performing Cybersecurity Risk and Control Assessments, HIPAA Audits, Phishing/Ransomware awareness and security training, Business Continuity Planning / Disaster Recovery (BCP/DR) planning and testing, IT Internal Audits, Sarbanes-Oxley (SOX) Control Testing, Systems Vulnerability Scanning Assessments, and System and Organization Control reports (SOC).